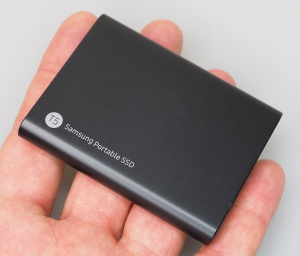 We review the latest portable SSD drive from Samsung, the Portable SSD T5, with USB3 Type C and 250-2000GB sizes available. We find out if replacing your main hard drive with an SSD drive is worthwhile, and whether it really speeds up your PC. 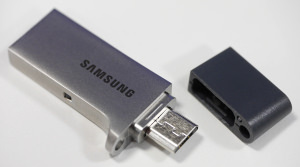 We review the Samsung USB 3.0 Flash Drive Duo - a USB drive that can be used normally and used with your smartphone. 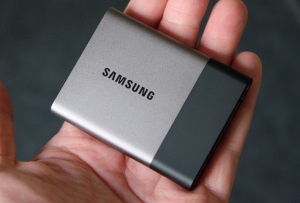 We review the Samsung Portable SSD T3 - a portable SSD hard-drive with high transfer speeds of up to 450MB/s, and password protection. 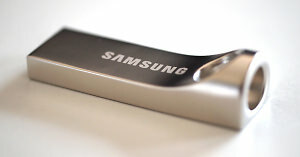 Find out how the latest generation of flash drives from Samsung perform in our review. 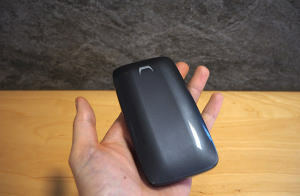 The Samsung Portable SSD T1 is a 250GB portable SSD hard drive which offers and transfer speeds of up to 450MB/s, and comes with AES 256bit encryption built-in. Daniel Bell reviews the RAVPower Wireless Filehub & Media Drive. You can charge your mobile device or access pictures and videos on USB drives and SD cards via Wi-Fi. 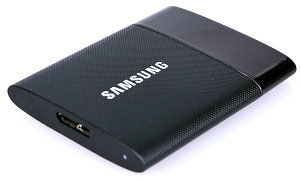 Read our quick Transcend USB 3.0 Card Reader RDF8 review. Daniel Bell reviews the PhotoFast i-FlashDrive HD, a memory expansion drive for iOS devices that doesn't need Wi-Fi or battery power. 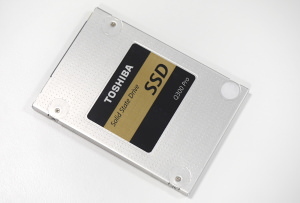 Daniel Bell reviews the rugged Transcend StoreJet M25H3 1.5TB portable hard drive. Daniel Bell reviews the Maxell AirStash.